The Boskone block at the Westin Waterfront is currently full and we currently have no rooms available at our rate. 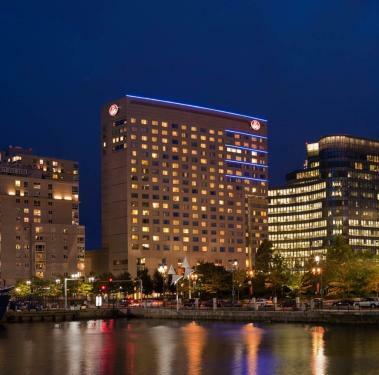 We have added an overflow block at the Renaissance Boston Waterfront Hotel, which is about a quarter mile from the Westin, along D St. The rooms are available for Friday, Saturday, and Sunday nights, at a rate of $199/night. You can also call Renaissance Reservations, at 1-877-901-6632, and ask for the Boskone Overflow Room Block. The room block will only be available until the end of the business day on Friday, January 30. As always, if there are problems with these reservations, please email hotel@boskone.org, and we will attempt to help you. * if someone has a room and wants to cancel it, please write to hotel@boskone.org before doing so. If we know of someone that needs a room, we can then transfer that room to them. * if someone wants a room and can’t find one at our rate on our site in either non-party or party blocks, again, write to hotel@boskone.org, to tell us, and if someone cancels we may be able to transfer them. This entry was posted in Boskone 51, Information Update. Bookmark the permalink.